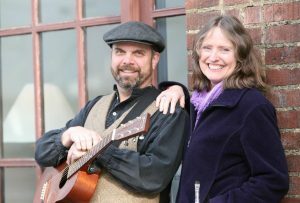 Mark Iler and Jess McKeegan are two of three members of Humor & Heart. 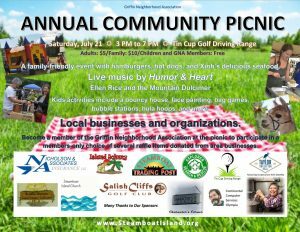 Admission is free to all Griffin Neighborhood Association members. All other residents will be charged $5 per adult, or $10 per household. No charge for children. 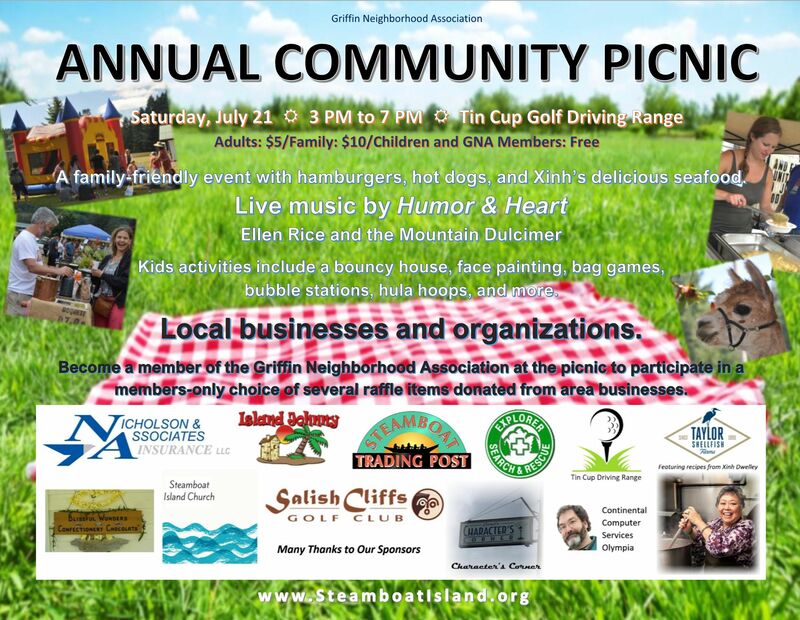 If you choose to become a member of the GNA on the day of the picnic, not only is your entrance free but you will be able to participate in a members-only choice of several raffle items donated by local businesses. We have a $25 gift certificate from Character’s Corner, website development services valued at $600 and two hours of home computer service (a $250 value) from Continental Computer Services of Olympia, and more. Your admission includes all activities and food! We need your help to put on an event this big! Some areas of need are children’s activities, food/beverage prep and serving, set-up and take-down, etc. High school kids looking for service hours would find this a great fit too. We could really use some help handling the grill, too. It doesn’t take a full-time commitment; if you can help for even an hour or two, please contact Becky at furacres@gmail.com.